2016 Wedding Day Assistant Position! 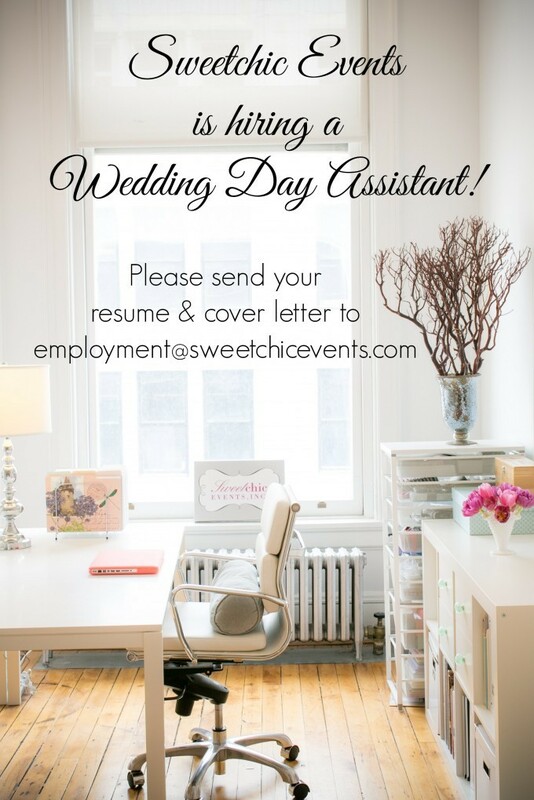 — Sweetchic Events, Inc.
2016 Wedding Day Assistant Position! Interested in being a long term member of our Sweetchic team! If you think you’re the perfect fit, please send your cover letter and resume to employment@sweetchicevents.com! Happy Anniversary Amy & Bradford!